It’s the new dance season and you’ve gotten your monthly dance bill. Every year, you know it’s coming and it is not going to miraculously be less expensive than the year before. Most of the time, it increases each year – even if it’s just a little bit. If you have a competitive dancer, expenses quickly add up – classes, costumes, conventions, competitions, warm-ups, jewelry, make-up, dream duffel, travel expenses and the list goes on. If you are looking for some ideas to help alleviate some of the costs, here are a few suggestions. Plan a Spirit Night at a local restaurant. Schools and sports teams in our area have had great success with these. Some restaurants will give you a percentage of total sales at a specific time for example 5:00 – 8:00 PM. Others may require that patrons mention the studio. If there is a restaurant close to your studio or a favorite place to go after rehearsals or recital, this would be a great place to start. Raffle off an item that you think would be a big hit such as a nice cooler like this one. A studio in our area has had success with this fundraiser. In their case, a local store donates the cooler so whatever money they make selling raffle tickets is their own. Host a Parents Night Out at the studio – This would be a great way for dancers in middle and high school to contribute their time and earn some money. Create a Company Cookbook of favorite recipes. 50/50 Raffle: Dancers sell tickets at a set price. A winning ticket is drawn and the pot (money) is split between company dancers and the winner. Gift Wrapping Fundraiser – Host a day where parents and businesses can drop off items to be gift wrapped. This is a great idea for the Christmas holidays. Car Decals – Sell studio/dance themed car decals. Check out Name Your Game Decals for fundraising ideas and design options. A new fundraiser that has been gaining traction in our area is Snap Raise. Sports teams have used it and a few have made anywhere between $3000 – $7000. Here’s how it works. You sign up for a fundraiser with no cost up front. You set a goal and provide email addresses to the representative. They put a video together and send out emails to each team member’s list. After all the donations have been made, Snap Raise does take a percentage as payment. Feel free to check it out – we are not affiliated with Snap Raise in any way but are always on the lookout for fundraising ideas that will help alleviate the cost of dance. 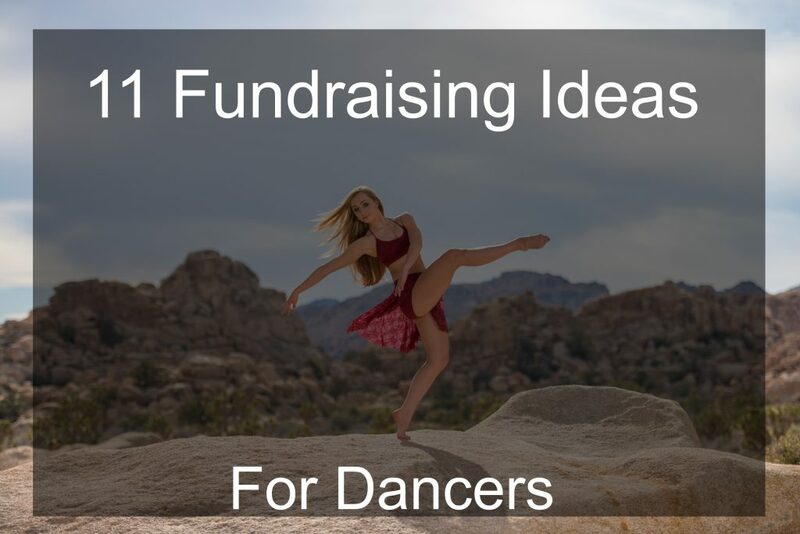 Does your studio offer fundraising opportunities? What has worked for you? Previous articlePoll: Which Dance Convention Is Your Favorite? Great ideas. Our studio does a company yard sale each year and it does really well. As we find things we don’t need throughout the year, we put it in the attic until the next yard sale. My daughters are good about offering up items they no longer use. I really wish our studio would try some fundraising ideas. I know it can be a pain, but it would be nice to try something to help with the dance costs. I was just talking to some other Dance Moms about this the other night. Thanks for the suggestions. Our Booster Club just started a “flocking” fundraiser. We contacted our local online news site and they did a huge write up about it. We have received so many requests for flocking along with promoting our studio in the community. We are also doing a fruit sale and looking at doing larger events such as a 5K walk/run and a car show. Do a search for flamingo flocking fundraiser. I would add a link, but it won’t let me put it in my response. We customized ours by putting tutus on the flamingos and “blinging” them out with glitter. Even though it is a lot of work, it has been profitable and fun. We also get free advertisement throughout the community. If you do look at doing something like this, we found that ordering the pink flamingos from Home Depot is so much cheaper and you can get them in a pack of 50. That sounds fun! I’m going to suggest that one.